Jon P. Geiger, Barometer, 2017. Glazed earthenware, leather, Magic Sculp. Mortar, plywood, hardwood, steel. 16" x 28" x 48". Jon P. Geiger, Hondo Tondo #6, 2017. 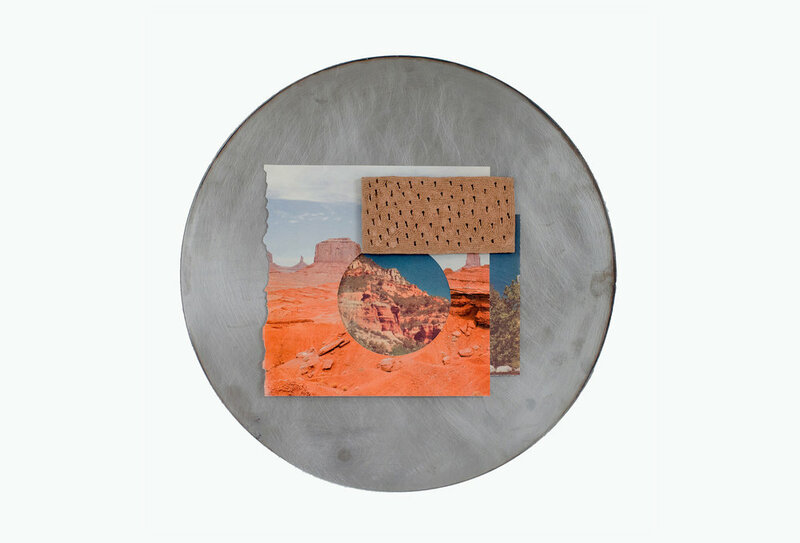 Terra cotta, found image, steel. 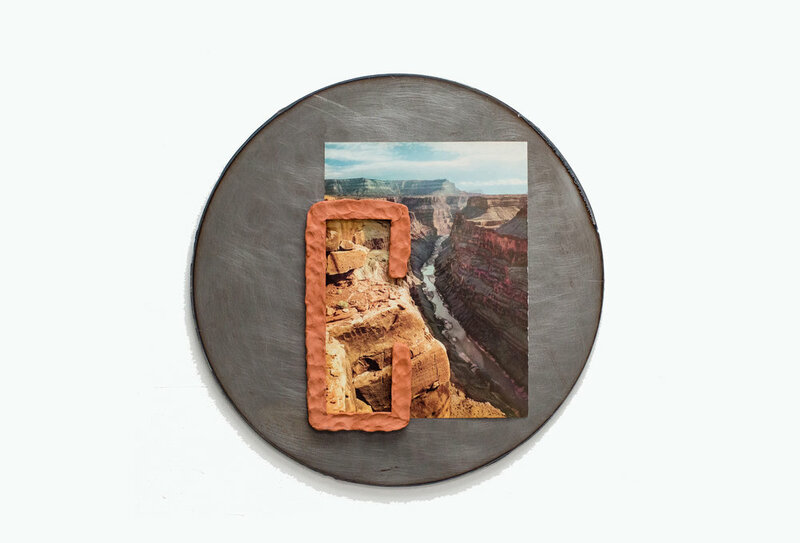 Jon P. Geiger, Hondo Tondo #5, 2017..
Glazed earthenware, found image, steel. Jon P. Geiger, Hondo Tondo #3, 2017. 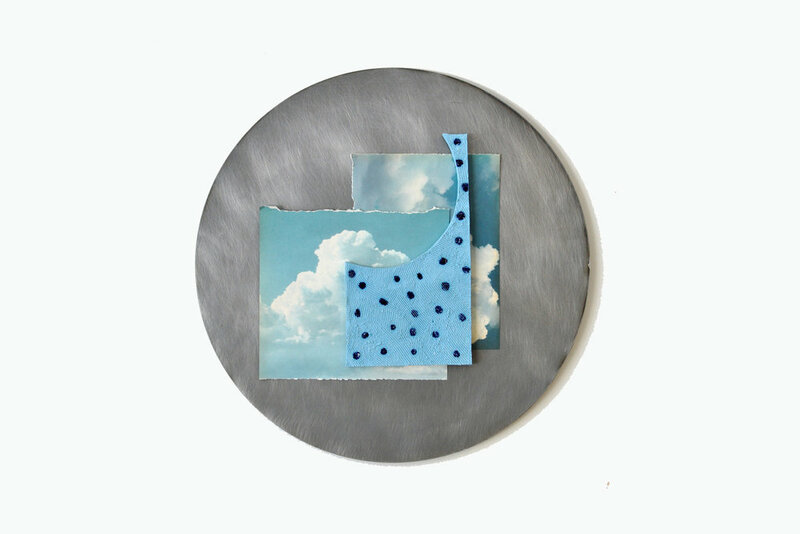 Glazed earthenware, found images, steel. Jon P. Geiger, Hondo Tondo #2, 2017. Earthenware, underglaze, found images, steel. Jon P. Geiger, Hondo Tondo #7, 2017. Jon P. Geiger, Hondo Tondo #1, 2017. Terra cotta, found image, steel..